On Senior Night at Lupin Field, the Newman Greenies made sure to showcase their host of senior playmakers in their last regular-season home game. Acadiana played the role of Goliath perfectly as they are outscored 24-0 in the second half in a stunning Sulphur upset win, 38-28. St. Michael head coach Justin Hutchinson before the game spoke almost as if he had a crystal ball. West Monroe rolled to its eighth straight win on Friday with a 63-10 victory at Pineville. Ken speaks with Chris about week eight in Louisiana prep football plus Saints at Packers. Franklinton had won five straight games over the Titans, who had never won at Franklinton. Both streaks are over. Both the Crusaders (3-4, 1-2) and Raiders (5-1, 2-1) are coming off dramatic wins last Friday night. While Cabrini is the top team in District 7-II, you cannot sleep on Warren Easton. 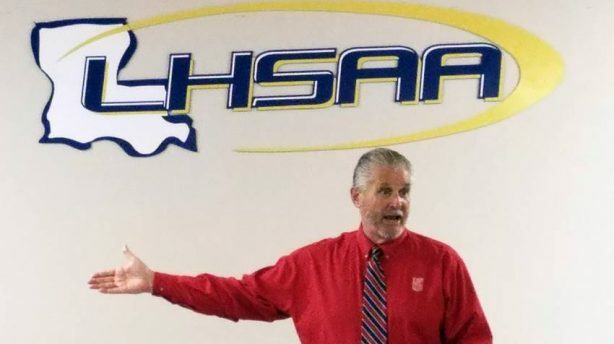 It’s your one-stop shop for Louisiana high school football!